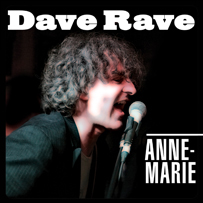 The second single from the new (2010) Dave Rave album, Live With What You Know, features members of The Trews.By popular demand, "Anne-Marie" is released as a digital single. Dave Rave is a power pop stalwart constantly touring around the world bringing his rock party good times to the UK, USA, Italy, France and more! Recorded in London, UK, with The Plastic Heroes and special guest, drummer Christophe Deschamps (Keren Ann, Vince Taylor). Anne-Marie is released as a single due to radio reaction in the USA as it climbs up the AC and HOT/AC charts and playlists on radio across the country. "Anne-Marie" made the Grammy Awards 2012 longlist for "Song Of The Year".